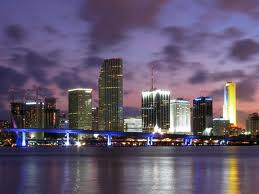 Back in 1985, when I arrived in Miami from Louisiana State University to accept a faculty position at Florida International University, I was talking with a friend, a Cuban and resident of the city, about the ethnic makeup of Miami at the time. When I touched on the topic of americanos in Miami, he said: “What americanos? There are no americanos left in Miami!” I laughed at his observation since it was obviously an oversimplification of the changing demographics of Miami-Dade. In 1985, there were certainly americanos in Miami. After spending the past seven years in New York City, as a professor at John Jay College of the City University of New York, I have returned to Miami, on a sabbatical leave from CUNY. I will be returning to New York and to my faculty position after the leave. Coming back to Miami after a seven-year absence has given me an appreciation of how things have changed, and not changed, in the city I once called home. I share here my observations, seasoned somewhat by the four months I have already spent in South Florida. Now is the time to jot down my reactions, before they become commonplace and lose their freshness in my mind. My most overarching reaction is that during the first month back in Miami I was not able to empirically verify, through personal observation, that my friend’s 1985 comment continues to be an oversimplification. That is, during my first few weeks here I did not run into a “bona fide” americano in Miami-Dade. [Yes, I know, all of us from the Western Hemisphere are Americans, but you all know what I mean when I say an americano, in Spanish and in italics]. It’s not like we are living in Hialeah or in Little Havana. Liza and I have rented an apartment in the Gables, which in my early years in Miami was a bastion of americanos. And in our initial weeks we trolled throughout most of the county, shopping for what we need to set up living quarters, eating out constantly (especially until the movers came with our pots and pans), visiting CVS, COSTCO, and IKEA more times than I would have liked, contacting utilities and maintenance people, the sales agents at the gym, dealing with realtors and a property management company, etc., and not an americano in sight. Even the staff of a Japanese restaurant I frequent is all Latino, except for the head sushi chef, who is, of course, not americano, but Japanese. The presence of the more recent wave of arrivals from Cuba is especially evident. The cable guy has a degree in ciencias informáticas from a Cuban polytechnic. The customer representative at the cable company was born in the 10 de octubre neighborhood in Havana. The handyman the management company sent to fix the garbage disposal is from Morón, where he was a bongocero. I have also been surprised that Spanish is the language in which strangers greet me, even though now, with my grey hair, I could credibly “pass” as an americano. Of course, in time some americanos have surfaced here and there. But my initial reaction is that the trends that I and other sociologists have been talking about for a long time, the “Latinization” of Miami, the institutional completeness of the Cuban community, and Spanish as the lingua franca, are all evidently proceeding apace and show no signs of abating, fueled by the largest ever sustained migration wave from Cuba. I must be bringing with me a New York mindset with respect to the provision of public services. After any heavy overnight snowstorm, I could peer out of the window of my Manhattan apartment at 6:00 a.m. and see the street plowed clear of snow, as were virtually all streets in the city. And if they weren’t plowed (as happened in the infamous December 2010 storm), the mayor had hell to pay. Here’s another example: the deterioration over the past two years in the reliability of subway service. Once the outcry went up, the Governor went down from Albany and showed his face, appointed a new director of the MTA, investments were made in the infrastructure, and scheduled maintenance work stepped up noticeably. I have every expectation than when I return to New York service will have noticeably improved. New Yorkers demand good service. They may not always get it, but there is an expected level of performance that pushes the institutions that serve the public to do better, to remedy the situation, to set a higher bar. Maybe that’s because New Yorkers pay for it, in the form of both state and city income taxes, as well as in higher prices for just about everything else. It’s a New York mantra: you pay more, but you expect more. That applies to everything from municipal services, restaurants, cultural events, and even to seats at Yankee Stadium. Admittedly, the downside of that is that the city is pricing out all but its more affluent residents, as the gentrification of working class and ethnic neighborhoods continues apace. When I arrived in Miami I saw piles of debris lining the streets from a hurricane that came through nearly a month before, with no sign that anyone was coming around to pick them up. And as far as I could tell, there was a deafening silence in the media (from mainstream to social) about it, as if that is the expected level of performance from those responsible for providing public services. I also hear horror stories from relatives about waiting more than an hour or two in a doctor’s office. At a department store where I went to return an item, I took a number at the customer service desk only to find that there was just one taciturn clerk on duty and sixteen people ahead of me, all of them with a look of resignation on their faces. New Yorkers don’t put up with that and those providing services, from doctors to retail outlets, know it. The transformation of the Marlins into a AAA team by a management interested in only the bottom line is the most evident example of the lack of respect for consumers that seems to pervade down here. I’ll admit don’t drive much in New York, so I can’t really have much of a basis for comparison, but I have been surprised by the uptick in both the density and unpredictability of the traffic and the brazen disregard for traffic norms so many drivers exhibit here. And I don’t have an option as I do in New York: here I have to drive. Some of the stuff I hear on some Spanish-language radio programs and, especially, what I have seen on the evening variety programs on America TeVé is beyond embarrassing, not only in terms of quality, but also in terms of sexism, racism, and homophobia. • First and foremost: spending more time with my younger son and other family members, and reconnecting with so many dear friends. • Cuisines that abound in Miami and that are poorly represented in New York: Argentinian, Spanish, and Nicaraguan. New York has some restaurants that represent these national cuisines, but nothing like the number of establishments and variety (in terms of price range) that exist in Miami. Places like El Gallego, Graziano’s, and El Novillo have the authentic feel of the home country, including a lack of both pretentiousness and pricy menus. Of course, Cuban eating establishments are in a class by themselves here in terms of number and range of prices, with the most unique ones at the lower end. I have found nothing in New York – or anywhere, not even Cuba — that comes close to El Palacio de los Jugos or El Mago de las Fritas. • Publix, Navarro, and Vicky’s Bakery. • No schlepping. It is the one advantage of an automobile-based city. You drive a car, you buy stuff like groceries or clothes, you put the stuff in the trunk, and you take it out when you get home. No carrying of heavy loads over long distances, no bags in movie theaters or restaurants. • Bookstores such as Books & Books and Barnes & Noble with large Spanish-language sections. • The greater ease of travel to Cuba is a big plus. A 45-minute flight. I could not get used to spending nearly four hours on a plane to get to Cuba, which is what it takes to get from JFK to Havana. I have always thought of Cuba as being close, if only in distance. • And there is the comfort that one derives from the most laudable of Cuban national traits, so evident in the public spaces of Miami (as in Cuba): the value placed on interacting, especially with strangers, in a warm, familiar, and even humorous, manner. Cubans typically strive to instantly eliminate interpersonal distance, to be considered buena gente. No one wants to be a gruffy arrogant pesado. The quintessential example is the waitress or female clerk who in an instant refers to a complete male stranger as mi vida or mi amor with not even a hint of irony or sarcasm, as if it were heartfelt. • I miss my Brooklyn guys: my oldest son, his wife, and my granddaughter. • The subway, believe it or not, even with delays. It’s the most liberating feeling not to be tied to an automobile (except, of course, when you have to schlepp stuff). With a monthly pass and your own two feet you can go anywhere in that fabulous city. To me, the subway is New York City. September forty-six years ago when I taught my first class as a graduate teaching assistant at the University of Florida. It’s hard to break a habit, especially one that is enjoyable and rewarding. • The chill in the air, the fall colors, and the magnificent landscapes of the Hudson Valley. Of course, I was glad not to be there when the chill turned into a deep freeze. • Something that may seem trivial, but it’s kind of basic: I miss cooking with gas. Unlike New York, home gas seems to be the exception in Miami. So that’s an initial pass on my thoughts upon returning to Miami. I expect to post more about the dynamics of Miami as viewed from what (I realize) has become (with apologies) my New York eye. I’ll mix those in with postings from my research about the history of the Cuban presence in New York. Hope you will find them interesting. I have been observing Miami, especially the Cuban community, most of my life, sometimes as a resident, sometimes as a visitor. As a resident one observes the city as one views a movie, as a visitor one sees it as a sequence of snapshots. After moving to New York two years ago I am now in the visitor mode. The advantage or disadvantage of observing through snapshots is that change becomes more evident, perhaps exaggerated. On this summer trip I have been struck by two important changes in the landscape of Cuban Miami. One is that Miami has entered a post-ideology phase. The other is that there has been a marked improvement in the quality of the fried plantains served in Cuban restaurants in Miami (at least the ones I have visited). A few years ago it seemed one was always served platanos maduros cut too thick, not ripe enough, and undercooked. I am now seeing more platanitos cut into thin, very ripe, well-fried slices that stick together, as they should be: amelcochados . . . sorry, I digress . . . this is not about plantains, but about ideology. More than twenty years ago I published an essay on the nature and importance of the traditional exile ideology. Among the essential elements of that ideology, I wrote then, is an uncompromising hostility towards the Cuban government, a commitment to “recovering” the homeland, and the primacy of that ideology in determining the political attitudes and behavior of Cuban Americans. A few years later, my colleagues Alejandro Portes and Alex Stepick wrote about what they called the “moral community,” the set of political values that underlies Miami’s Cuban community, providing in effect a guiding and integrative force, a reason for the community’s presence in this country, and a vision of its destiny. 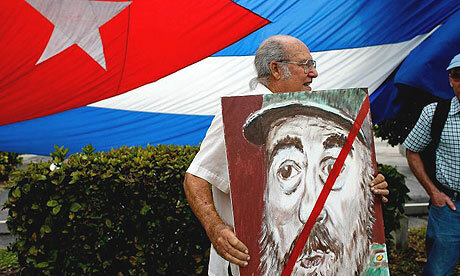 I have been aware for several years of the withering of the anti-Castro “cause” within the ethos of Cuban Miami. I am not referring here to changes in the political attitudes of individual Cuban Americans, although that, of course, may be part of what I am seeing. Changes in attitudes are what my friend and colleague Guillermo Grenier has been tracing for years with the series of FIU Cuba Polls that he has conducted over the past twenty years. To be sure, there have been changes in those attitudes, influenced by intergenerational shifts and new arrivals from the island. No doubt an overwhelming number of Cuban Americans, when asked, continue to hold negative views of the Castro brothers and of the Cuban Revolution generally. That hasn’t changed much. What I am referring to here, however, is the role of the anti-Castro ideology as a compass, a moving force, in the community. I would argue that even if the attitudes themselves have not shifted much and Cuban Americans of different generations and arrival waves continue to have a negative, even hostile, view of the Cuban government, what may have occurred with the passing of the older exile generation is the loss of the primacy of the Cuba issue in shaping the political agenda of Cuban Americans. In other words, newer generations and perhaps even newer arrivals may at various times exhibit attitudes and behaviors consistent with the traditional exile ideology, but their political agenda is more diversified. Unlike the older generation’s exclusive preoccupation with Cuba, today’s Cuban Americans do not see the world exclusively through the traditional exile lens. It is this development that has turned down the ideological volume of Cuban Miami. A Miami friend, not Cuban, but also a longtime observer of the local scene, agrees with me that the Cuban cause is no longer a driving force in Miami. He says there are only two causes left in Miami today: David Lawrence’s Children’s Trust and Norman Braman’s efforts to curb what he sees as municipal fiscal excesses. Both of those causes have influential leaders and clear goals and have an impact within and outside their constituencies, something that is now missing from the traditional Cuban cause. 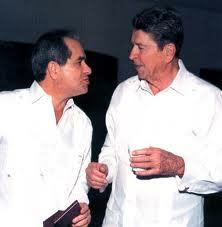 My friend traces the start of post-ideology Cuban Miami to the death of Jorge Mas Canosa in 1997. He may be right. It is undeniable that no one has replaced Mas as a leader in the Cuban community. Despite the fact that I strongly disagreed with what he was doing (and how he was doing it) and I took every opportunity to say so — even to his face in a televised debate in 1989 during his unsuccessful attempt to muscle into Florida International University a research institute controlled by the Cuban American National Foundation — I always recognized his extraordinary ability to project the exile cause both within and without the community in a way that had not been done before (or since). Those that now seek to lead Cuban Americans are apparently doing so through the ballot box, getting elected to local offices, the state legislature, and even the U.S Congress. As Mas recognized, however, those are not ideal positions from which to most effectively push the Cuban cause (he never ran for public office), because elected officials must attend to a variety of issues that have nothing to do with Cuba. As with most leaders of causes, Mas’ political focus was exclusively on Cuba, and that was part of the reason for his success in keeping the exile agenda at the forefront of Cuban Miami. That is not to say that the Cuban Miami gang in the U.S. Congress has been unsuccessful in advancing the traditional hardline agenda of keeping U.S. Cuba policy frozen in the Cold War. [Given the likes of David Rivera in that group, I feel justified in using the term “gang”.] On the contrary, they have been quite successful (together with their New Jersey compatriots) in keeping U.S. Cuba policy unchanged. But that is a different ball game. To the extent that the leadership of the anti-Castro cause has defaulted to the Washington gang, it means that the stage has shifted from Miami to D.C., and that it is less about ideology and more about electoral politics and succeeding as a politician. To be sure, Mas Canosa lobbied in Washington, but he was always careful to tend to his ideological base in Miami, making sure it stayed focused and committed to la causa. In this visit, I have seen symptoms everywhere that Miami has now fully transitioned to a post-ideology stage. There seem to be only scattered remnants of what had been a cause capable of being the major driving force in the political landscape of Miami. Let’s look at the media. The AM radio dial, formerly on fire with inflammatory political rhetoric and call-in programs expressing outrage about the Cuban regime, is now largely devoted to music, infomercials, religious programs, and ads and commentaries about local politicians and local politics. Only in Radio Mambí, la grande, la más potente, are there a few hours of programming a day devoted to castigating the Castro brothers in programs with long-standing formats and longtime participants that now sound pitifully decrepit. And where are the periodiquitos, the fly-by-night free tabloids devoted to the cause that once proliferated in the stands of restaurants? The ones I have been able to find now are entirely devoted to advertisements or to stories lauding one or another political candidate or declaiming on a local issue. There used to be at least two primetime talk show programs on Spanish-language cable channels that were devoted to stoking the flames of anti-Castroism, Miami versions of Cuba’s dogmatic Mesa Redonda where only the party line is presented. Now only one survives and it has diversified its format to include non-Cuban topics. The rest of the programming on those channels is devoted to telenovelas or to incredibly inane “comedy” programming. Public demonstrations against the Cuban government on one issue or another manage to assemble only a few dozen participants (as a recent one on the death of Payá Sardiñas), a distinct change from the marches that Mas Canosa would convene, filling S.W. Eight Street. The change in the quality of the platanitos is a good thing. 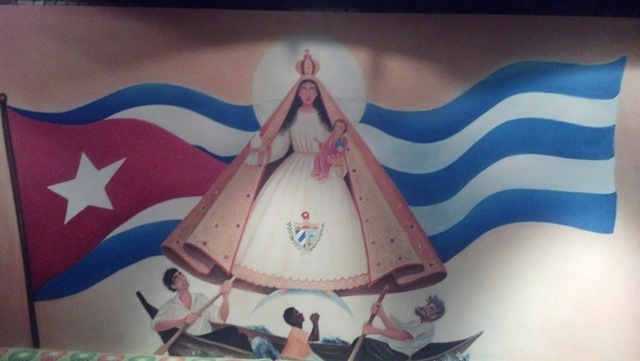 The change in the ideological landscape of Cuban Miami is, well, what it is. I certainly do not mourn the passing of much of the intolerant and intransigent discourse that always characterized the climate in the community, a discourse that seems to survive primarily in some fringe sites in the blogosphere. And on a personal level I do appreciate that there are fewer venues, at least venues that matter, in which I can be accused, as I have been in the past, of being a Castro agent, an inflitrado, a communist, a dialoguero, un mal cubano, and a few other things. My point is that if I were to be accused of those things now, few people would notice or care (especially me). But I must say that I strangely miss the effervescence that existed in Miami over Cuban issues. The community is without a compass. This was not the plan: the struggle for recovering the homeland was to be followed, in exile lore, by the effort to rebuild Cuba. None of that has happened, so there is a suspension of purpose, a loss of guideposts. I have observed during my trips to Cuba that the same thing has happened there. Only the political elites (as here) are unwilling to abandon the historical struggle. The ideological hardline discourse finds fewer echoes in a population intent on adapting to new realities and going on with their lives. Too much time has passed, too many things have happened while, essentially, not enough has happened. Exhaustion takes its toll. Havana and Miami have always been, in political terms, mirror images. We love it, we hate it, but it is hard to ignore it. For the 1.78 million Cuban Americans, Miami is not just any place. It’s where a majority of us lives and the one U.S. metropolitan area where, as one writer once put it, “Cubans have captured the atmosphere of the city.” For better or worse, what happens in Miami defines the Cuban presence in the United States. And it’s where many former Cuban New Yorkers now live. I lived in Miami until I moved to New York two years ago (and for 32 of the 52 years I have lived in this country), and I am now, as many Cubans do, visiting. I am sure that in a future blog I will inflict upon the readers of CNY some oh-so-serious socio-political analysis of the changes I am seeing in la capital del exilio. 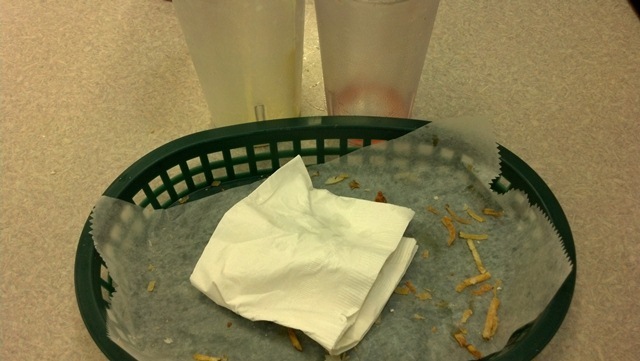 But for now, the subject is fritas. It would be too simplistic to translate fritas as Cuban hamburgers. They look like hamburgers, but the meat inside the bun has chorizo, mixed in with beef and who knows what else. Grilled onions and crispy shoestring potatoes are also inside the bun, but no lettuce and tomato, consistent with the tendency for Cuban (indeed, Caribbean) food to exclude uncooked ingredients. Fritas are part of what we can call Cuban cafeteria fare, along with sandwiches cubanos, medianoches, croquetas (preferably made of ham), papas rellenas, pastelitos (beef, cheese, guava, coconut) and the like. Food to go, food on the run, usually accompanied by a milk shake or a tropical fruit juice, served by places that are frequently little more than drive-ups, open 24 hours, and especially popular late at night. In the early days of Cuban Miami, El Morro Castle, on N.W. 7th Street, or Badia’s on S.W. 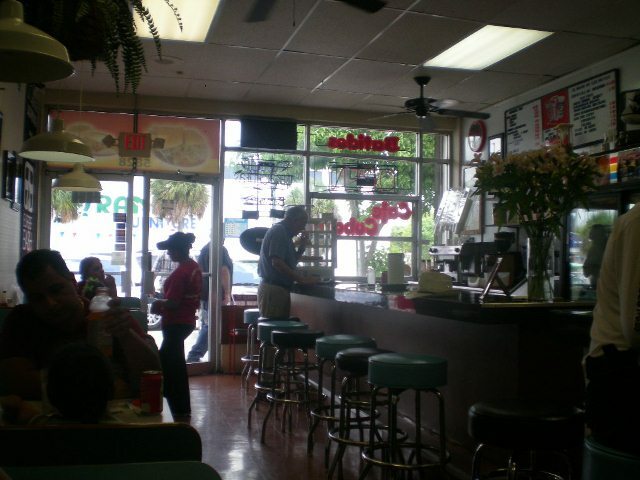 8th Street and in Hialeah, were popular purveyors of cafeteria fare. La Palma on S.W. 8th Street is now probably the most popular of this type of establishment. One of the reasons for the success of the Sergio’s chain in Miami is that it combines cafeteria food with a menu of “regular” Cuban food (BTW, I vote for the pan con bistec at Sergio’s as the best in Miami). Fritas are not found in all Cuban cafeterias, perhaps because they require a more elaborate preparation than most cafeteria fare. So specialized frita places arose in Miami, such as El Rey de las Fritas and an establishment, now long gone, called El Palacio de las Fritas. Ropa vieja, black beans, picadillo, arroz con pollo, and other Cuban restaurant items are not among the things I miss most about Miami because I can find reasonably good Cuban restaurants in New York. But I have not yet encountered any true Cuban cafeterias in New York, much less fritas, at least not in Manhattan. Admittedly, I have yet to troll New Jersey or the outer boroughs searching for them [any leads?]. This is why the Cuban food items I miss most are pastelitos, croquetas, medianoches, and, especially, fritas. They are right up there with the beach and The Beach on the Miami most-missed list (local politicians and expressway traffic did not make the cut). 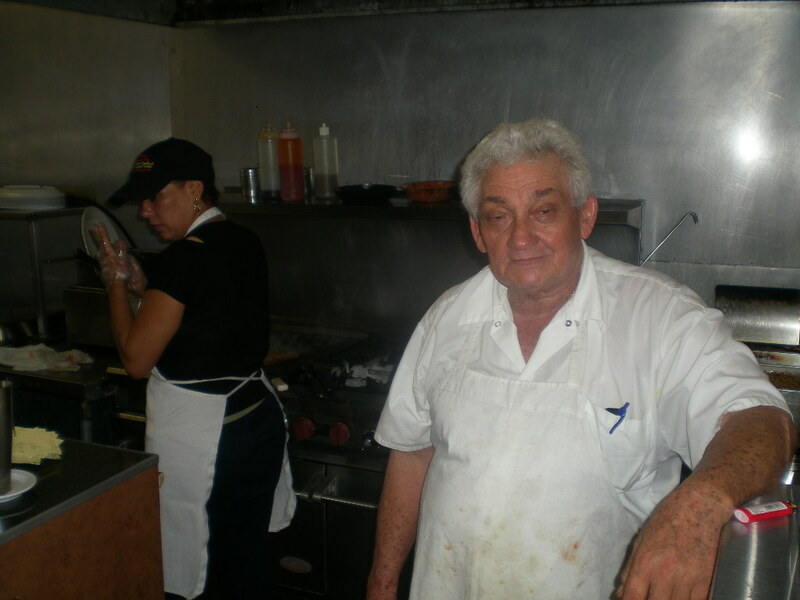 las Fritas, where Ortelio, el mago himself, would do his magic behind a counter with stools and with only a few tables. Back then, the fritas sold for one dollar, $1.25 with cheese. was the ambivalent nomenclature. Ortelio was Ortelio to some and El Mago to others. And the place itself is known to everyone, and appears in the menu, as El Mago de las Fritas, but the sign outside says El Mago de la Frita (singular). 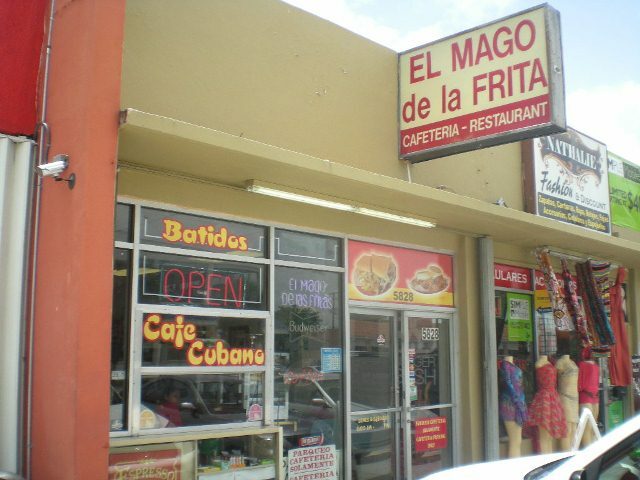 I had not been to El Mago in a few years when, in October 2010, the magician’s place made the national news: on a day trip to Miami, President Obama decided he had to have one of Ortelio’s fritas. 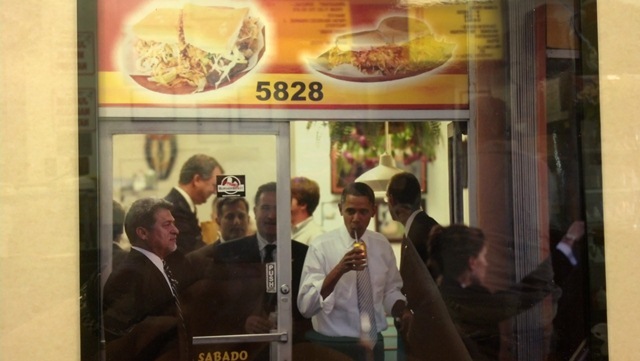 Reporters and Secret Service agents invaded the tiny place while Obama had a frita, washed down by what looks in a photo like a Materva. The President leaving El Mago with a Materva in hand. The framed picture hangs on the wall of the establishment. As soon as I arrived in Miami this summer I headed for El Mago to see what has changed. I found that everything and nothing has changed. The most notable change is that Ortelio’s daughter has taken an active role in managing the place. She told us her name is Marta. But no, wait, everyone was calling her Belkys. She admitted she is Marta AND Belkys. The tradition of ambivalent names continues at El Mago. Ortelio’s daughter Marta . . . or Belkys . 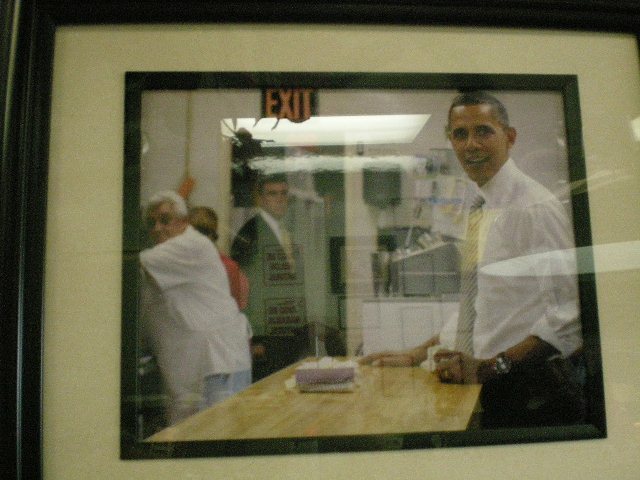 . .
Another framed picture on the wall: the President, cash in hand, ordering his frita. With or without cheese? The Secret Service guy stationed in the kitchen making sure the papitas are just right . . .
Fortunately and not surprisingly, the only thing that has changed about the fritas is the price: regular fritas are $3.50, with cheese $3.75 (choice of Swiss or American). El Mago has added two additional options: with egg ($4.50) and a double frita for $5.50. Even with the price increase, the fritas are worth every penny. 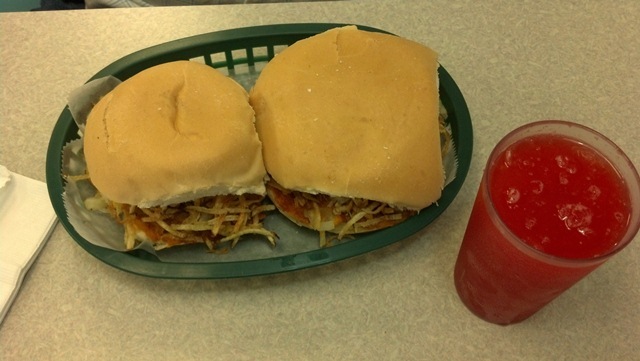 The success of El Mago’s fritas was never in the patty itself but in three key elements: the bread (essentially a soft Cuban bread in the shape of a bun), the potatoes (homemade crunchy little shavings fried fresh everyday), and the special sauce in which Ortelio grills the fritas. 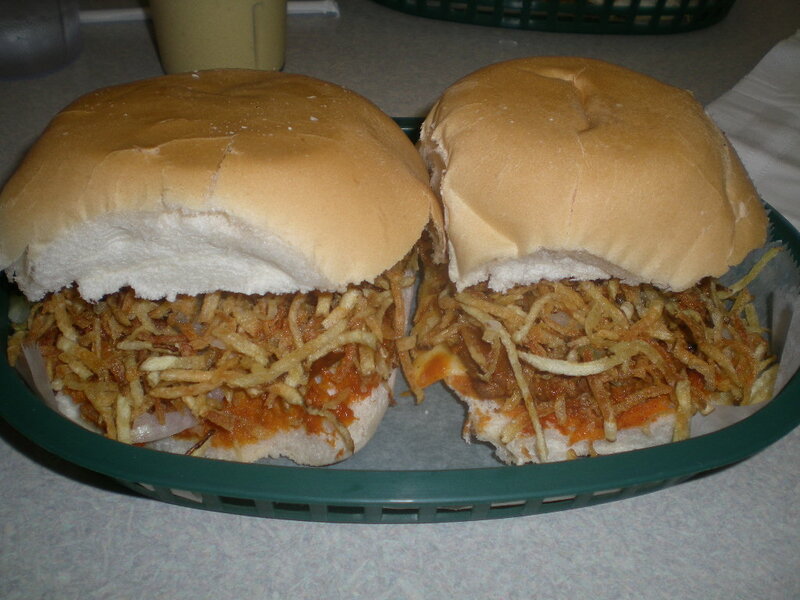 Most frita places use regular hamburger buns and factory-made shoestring potatoes out of a can. for a mango milkshake. Everything was as good as I remembered. 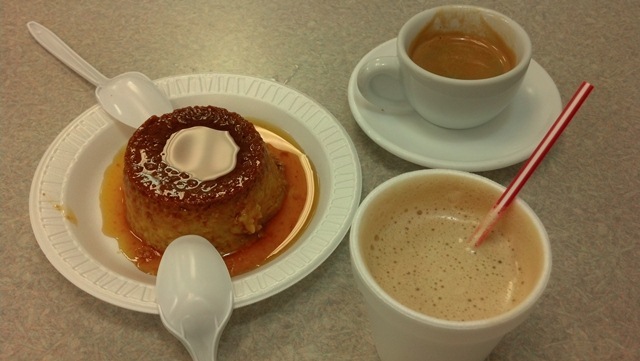 What I did not remember was that the flan, also made at El Mago, is among the best in Miami. My memory was jogged when we ordered one to share: just the right texture, caramel-y, and not too sweet. I left my cell number with Ortelio so that he could pass it on to a couple of friends I used to see at the counter and who still, he told me, frequent the place. So here it is mago, I’m telling everyone I know, and then some. Detail from La Jungla (The Jungle, 1943), by Wilfredo Lam. Gouache on paper mounted on canvas. Museum of Modern Art, New York. "In Cuba, as far as I know, is where you can find the largest number of Cubans; but besides Cuba nowhere else are there more Cubans than on the docks of the Columbia or the Marion on sailing days. Someone said that it appears as if New York is a neighborhood of Havana, and I could not disagree."